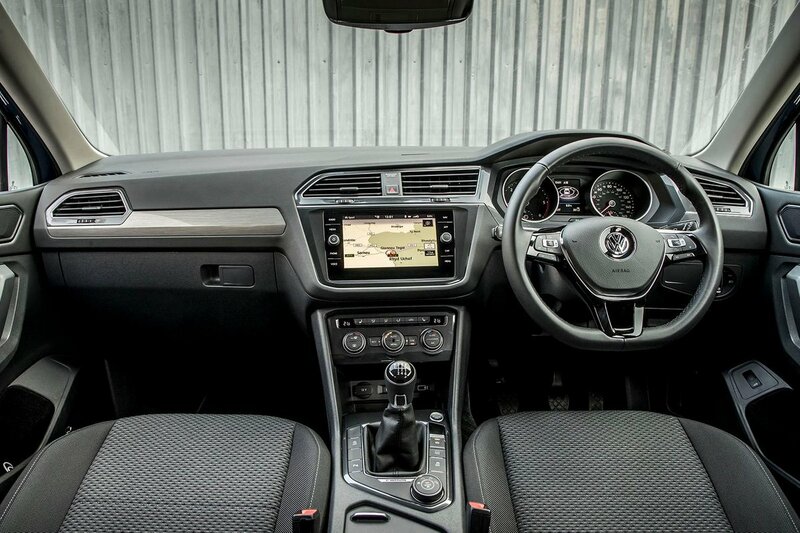 Volkswagen Tiguan Allspace Interior, Sat Nav, Dashboard | What Car? If you’ve spent time in other cars from the Volkswagen stable, you’ll soon find your way around the Tiguan Allspace’s dashboard. 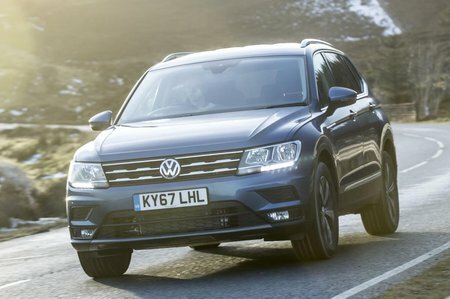 There’s no difference from the standard Tiguan; all the switches and controls are laid out logically and the steering wheel avoids being the button-fest that so many modern wheels have become. Getting comfortable is easy, too, thanks to plenty of seat and steering wheel adjustment. 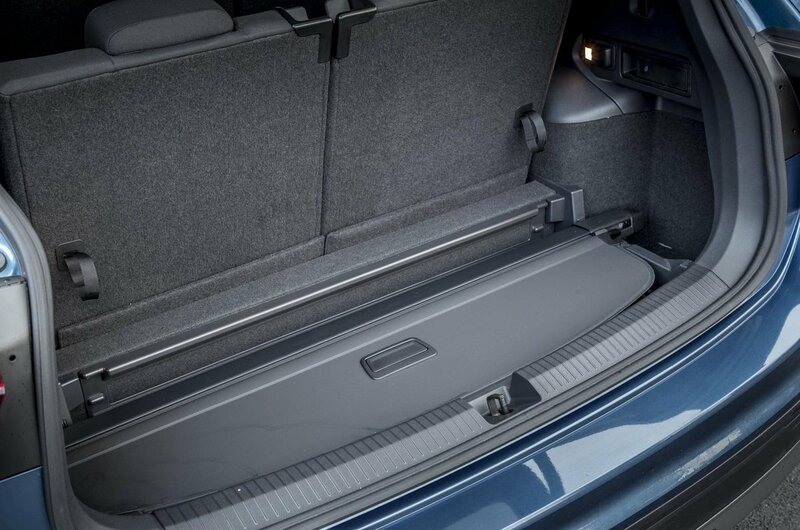 The pedals are well placed, with a conveniently positioned rest for your clutch foot. Those who love the view afforded by a high-set driving position will certainly appreciate the Tiguan Allspace. True, rear visibility isn't as impressive due to chunky pillars at the back. However, you get front and rear parking sensors as standard to mitigate this. If you’re not a fan of reversing and/or parking, you can have a rear-view camera bundled in with a self-parking system for a reasonable cost. Not only does this let you see what’s behind you on the infotainment screen, the park assist will steer the Tiguan Allspace into a space while you operate the pedals. Still, it’s a shame that you can’t get just the reversing camera as standard. An 8.0in touchscreen infotainment system with Bluetooth connectivity for up to two devices at once, a DAB radio, USB and SD card sockets, and sat-nav with 3D mapping and traffic information are all standard. An even higher-specification sat-nav system is available as an option, featuring Google Earth, a DVD player and a 64GB hard drive, but it’s expensive. VW’s Car-Net system comes as standard. This allows you to connect a smartphone via Android Auto, Apple CarPlay or MirrorLink. These in turn enable you to access certain features on your phone via the infotainment system, including sat-nav. The touchscreen interface is easy to use and, in the main, quick to respond. It’s certainly better than the system in the Nissan X-Trail. However, pressing the icon you want while driving takes some concentration, whereas the rotary dial interfaces in the BMW X3 and Audi Q5 are less distracting. The Tiguan Allspace may not have the most exciting interior in the business – the Peugeot 5008 beats it in this respect – but it's typically VW. That means plenty of soft-touch plastics and controls that work with a reassuring precision. You'll see some hard, scratchy plastic lower down on the dashboard, but this is at least kept away from the areas you regularly touch. The quality is on a par with the Skoda Kodiaq, but the X1 and Q3 do have classier interiors, even if the differences aren't huge.